On paper, putting unranked Cody Garbrandt in a television main event on a show with a couple of matches with ranked fighters was surprising. But the way the night played out, the gamble paid off. 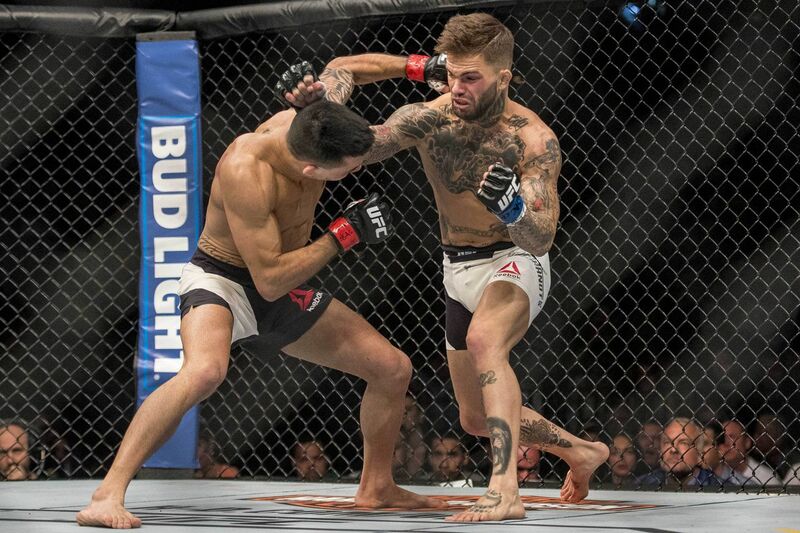 When Cody Garbrandt and Thomas Almeida were announced for the main event for Sunday’s UFC Fight Night, is was something of a shock. It’s not that neither hadn’t looked strong, as you had two young unbeaten fighters who looked like down the line they would be potential contenders. But neither had ever headlined a UFC event. And they were booked on top of a match that included Renan Barao’s move to featherweight. Barao was the former bantamweight champion who has headlined three pay-per-view shows and at one time was seriously talked about as the best pound-for-pound fighter in the sport. Jeremy Stephens, his opponent, had been with UFC for nearly nine years and had beaten major names like Rafael dos Anjos and Dennis Bermudez. Plus, stylistically, and it turned out to be the case, Stephens vs. Barao looked to be a great fight. Almeida was the one with most of the hype. He was 21-0, one of the best records of anyone on the roster. He was ranked No. 7 in the bantamweight division and people were talking about the 24-year-old Brazilian as one of the rising stars of the sport.